Creating a piece of writing can be compared to building a house. Both activities involve practical and aesthetic considerations. A builder needs to know what is to be built and who will be using it. A writer must have a clear purpose and an intended audience. A builder who specializes in building houses probably would not have the tools or experience necessary to build a cathedral, and might even consider some of the tools or materials required to build such an edifice unnecessary, time-wasting, or elitist. A writer must first consider what is to be written. Is it an advertising flyer or a paper for a scientific journal? Is it a reference book for astronomers, or a popular guide to the stars? Is it Wind in the Willows, or Gone With the Wind? 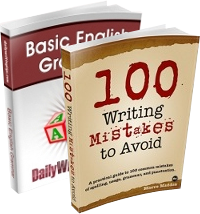 Whatever the writer’s purpose, the basic tool kit is the same: a reasonable grasp of English grammar, vocabulary, orthography, and idiomatic expression. Writers acquire this basic writing kit from elementary and secondary education and from general reading. As adults they refresh their memories by consulting dictionaries and style guides like Elements of Style and Zinsser’s On Writing Well. This basic tool kit serves well for most kinds of “no frills” writing. Non-fiction writers add to the basic equipment by reading widely in their areas of specialization. They may study the style of scientists who write well, such as Peter Farb (Face of North America: The Natural History of A Continent). Fiction writers increase the furnishings of their minds and find their own voices by reading fiction and nonfiction in many genres and from various historical periods. All writers operate from the basic tool kit, and, like builders, have the option of using the tools that suit the project in hand. They may not need every gadget in the box, and they may use some of the tools in unorthodox ways. Screw drivers and putty knives can be used for tasks other than the ones they’re designed for. And while older tools like magnetic stud finders may be superseded by electronic ones, they can still do the job. The writer, like any other craftsman, will think carefully about which tool is needed for a particular job. Once upon a time there was a dear little girl who was loved by every one who looked at her, but most of all by her grandmother, and there was nothing that she would not have given to the child. Everybody loved a little girl, especially her grandmother. The result is shorter and gets to the point faster. Perhaps a modern story teller would begin that way, but the revision destroys the fairy tale magic. 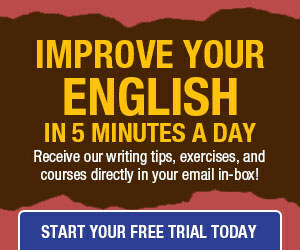 i want to good at writting of english language and speaking and reading. I’ve been wondering for a while now if all of modern fiction’s focus on short, economical sentences (what some people I know have dubbed the Hemingway syndrome, or the newspaper-day-job effect) haven’t driven down the quality of that fiction. I find myself pouring through books that all read and sound the same all year long, and then I’ll find that the one book who’s style sticks in my head will be something along the lines of Salman Rushdie’s like in the Moor’s Last Sigh, which, if anything, is expansive in style. I agree with your assessment of the effect of the constant cry for short and simple when it comes to fiction. Stylecide! It’s part of a sea change taking place in the dominant attitude towards writing, literature and literacy in general. Blogging, texting, flash fiction, TV pronoun use, political sound-bites, and best-sellers written at third-grade level are all part of the picture. It’s the product of technology plus a break-down in the quality of education. Like you with Rushdie, I was pleasantly surprised when I came across a mystery by Boris Akunin. Btw, you may want to check out this DWT post. I agree! While purple prose can be a really annoying thing, it’s sometimes good to keep a little bit of descriptive flair.